This kitchen product and Wi-Fi app are easy to use. You can monitor your cooking from anywhere you have wireless access. With a little prep and post-cooking work, chances are good your food will retain the level of moisture you like. The cooker unit is nicely sized to fit in most deep kitchen pots. Compared to Anova's Bluetooth app, the Wi-Fi app for iOS users is light on features. Android users have to wait for a compatible Wi-Fi app; it's currently in beta. The Wi-Fi app and Bluetooth app are not integrated (yet). 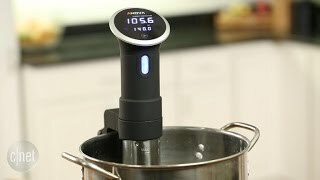 If you're interested in building up a connected kitchen incorporating Wi-Fi and the sous vide cooking method, the Precision Cooker Wi-Fi could fit into your plans. 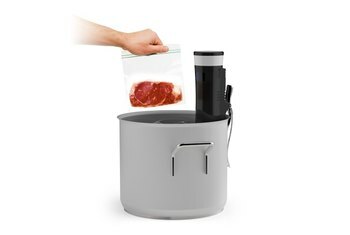 With the immersion circulator, you immerse food, which is sealed in a plastic bag, into a pot of water at a controlled temperature. 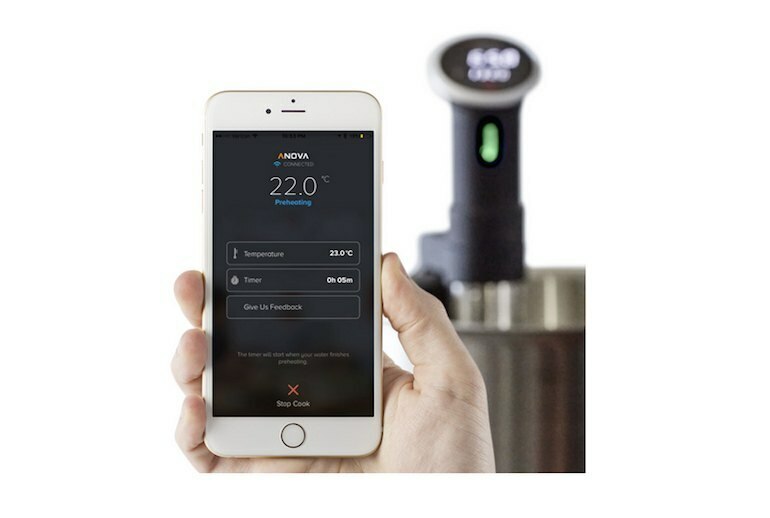 Anova's newer unit differs from its Bluetooth-driven predecessor, the Precision Cooker, thanks to the integration of Wi-Fi. The Wi-Fi capability means that you can start cooking your meal--or monitor its progress--from the couch, your yard, the treadmill, or your conference room, using the iOS app (Android version coming soon). Anova is one of the first to deliver a useful connected kitchen appliance. The ability to come home to a nice, cooked meal with minimum preparation and the freshest ingredients makes the Precision Cooker a great investment for the beginner cook or a seasoned chef. We've been having fun playing/cooking, and the food has been amazing...The cooker is well built, and works in a number of vessels. 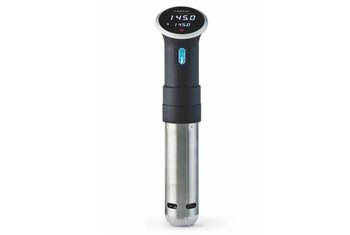 I'll be the first one to admit that sous vide isn't my first choice for cooking...But if you're willing to do a little prep before and some finishing after, the Anova Wi-Fi will cook food exactly to your preference. One minor annoyance I found was a continuous beeping sound after setting the time and temp. I corrected this by pressing the start/stop button twice to shut off the device and turn it back on. 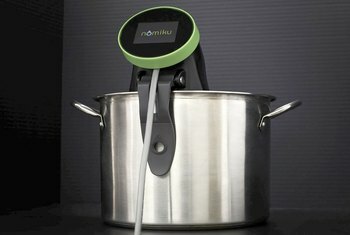 I’ve tested other sous vide systems that required me to use a deep container filled with water, but Anova’s clips easily into most deep kitchen pots. I'm happy enough with the core functionality to consider the $199 Anova asks for the Precision Cooker WiFi reasonable. 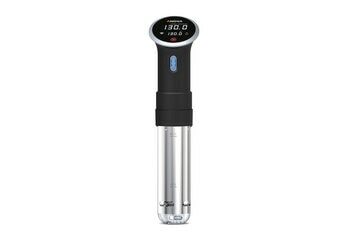 After all, not that long ago you'd be looking at ten times such a figure - if not more - to get started with sous-vide. For four years now we’ve been testing sous vide cooking tools, and the Anova Precision Cooker WI-FI makes the most sense for a home chef due to its low price, ease of use, and ability to adjust to pots and containers of almost any size. Will Wi-Fi make water bath cooking better?